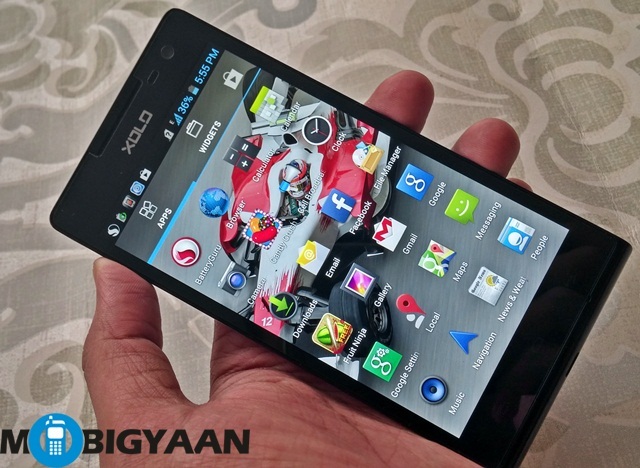 The XOLO Q1100 was launched last month. 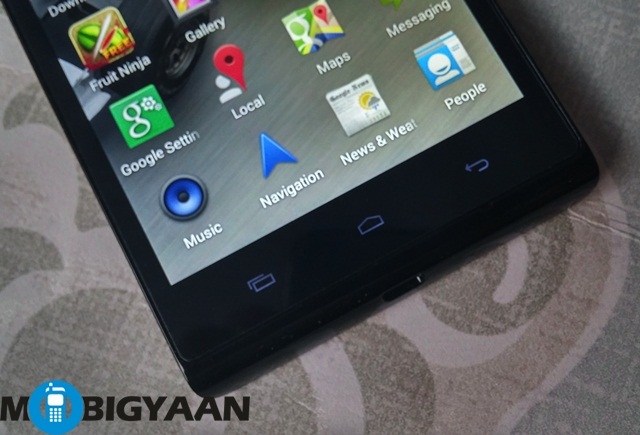 This handset features a 1.4-GHz Qualcomm Snapdragon 400 processor and comes with hefty price tag of Rs. 14,999. We have got the device for review and with the little time we had with it, we have formed some opinions. 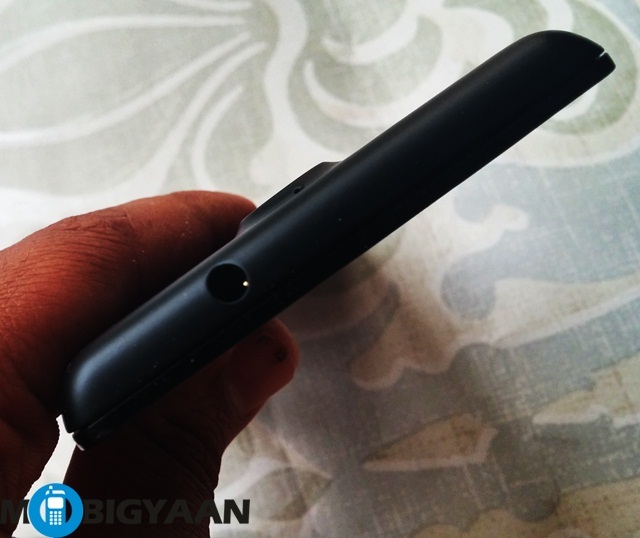 Check out our hands-on images of the device with little snippets of what we think about it. 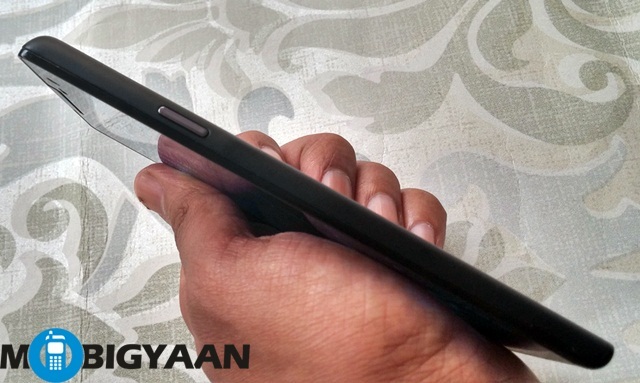 The XOLO Q1100 has an edgy design. It looks pretty sharp yet a little conventional. The form factor is rectangular, with metallic themed buttons popping out of the sides and a tapered bottom. Overall, the device is a little thick though easy to hold. The body is a bit plasticky. 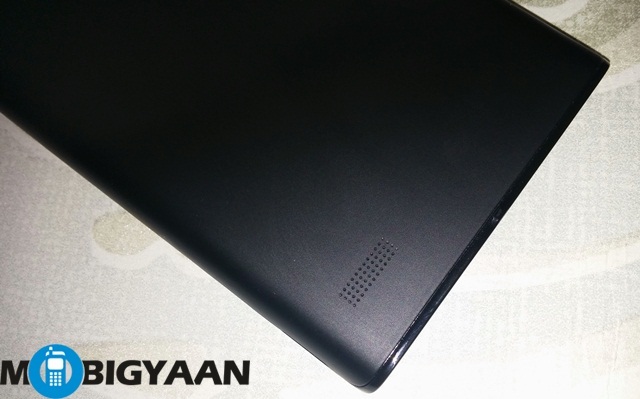 The XOLO Q1100 gives comes with a black flip cover, which you can switch on to by taking out the back cover. The device is glossy around the bottom which doesn’t look too great in our opinion. 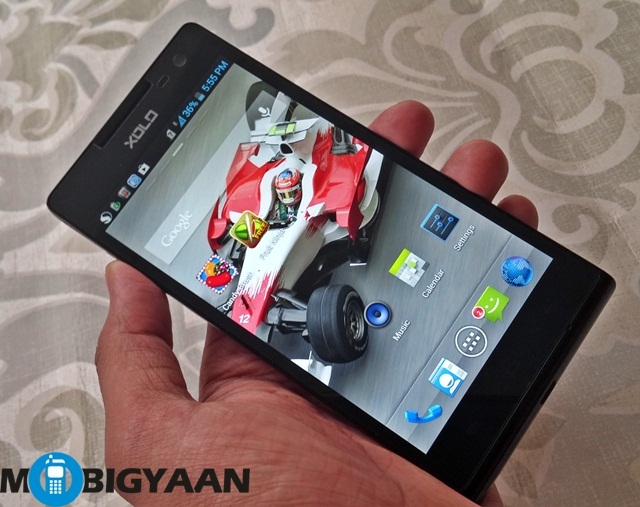 The XOLO Q1100 comes with a 5-inch 720p display. The display quality is surprisingly good, though not out of the world. The display gets smudgy pretty soon. The back of the device enshrines its 8-megapixel snapper, which looks quite jazzy, we must admit. 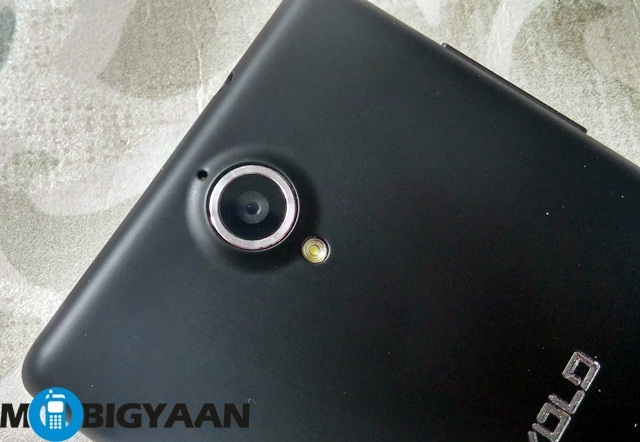 In addition to this there is a 2-megapixel front cam for selfie addicts. The performance was generally smooth, thanks to the Qualcomm Snapdragon 400 processor and 1 GB RAM. 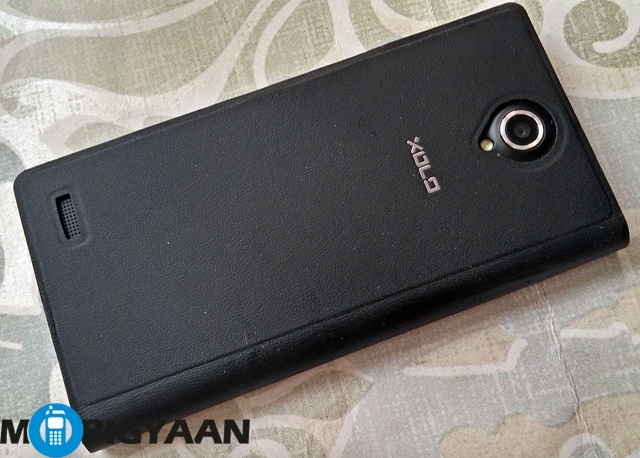 Check out some more pics of the XOLO Q1100. Our first impressions of the device and the full review will be coming soon.